The holiday season is upon us! It's that time of the year when school kids and their parents plan fun trips to recharge their batteries and refresh themselves. Be it a relaxing or an adventurous trip to the cool Himalayan states or popular sea beaches, summer vacations are great for learning new skills and experiencing new adventures. However, in the excitement of planning our vacations, we often ignore the essential care our skin and hair need during changing environment. "Tanning, rough skin and other skin and hair problems can cause great discomfort when you are travelling during summers," said Padma Shri awardee and beauty diva Shahnaz Husain. 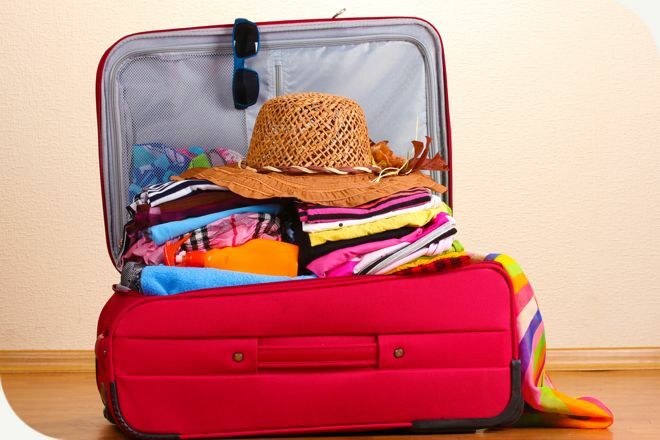 She suggests some travel beauty essentials to pack for your next holiday. -Travelling light is an advantage, so you need items that are compact and portable. Get yourself a spacious shoulder bag and two small, plastic lined cases, for your toilet and make-up. Your beauty aids should be within easy reach, so that you can freshen up your make-up and alight from your journey looking well groomed. -Have your waxing done just before you leave for your holiday. A short hairdo that you can just brush and arrange would be good, while for long hair, take along headband and hair clips, to keep your hair tidy. Remember to take a scarf along to protect your hair from over-exposure to the sun, as well as from wind and dust. You will need it if you are out motoring, boating or even walking by the seaside or hills. -If you are holidaying in a big city and expect to meet people, you will need a few good clothes and accessories for dining out. Take a few in-between outfits that are neither too casual, nor too dressy. You will also need make-up cosmetics for the night. The lighting at night demands more colour, so include darker shades of lipstick, blush-on, eye-shadow and mascara. A hair-piece can provide instant glamour. Don't forget to take your perfume, one or two good accessories and a neutral evening purse that goes with your dressy outfits. These will help to add the finishing touches. -If you are planning a sightseeing trip or a vacation by the sea or mountains, the emphasis will be on comfort. Casual wrinkle-free clothes, light weight shoes and sunglasses will be needed. On a vacation, one probably needs to carry more skin care cosmetics and fewer make-up aids. An anti-tan broad spectrum sunscreen or sun block would be good. The effects of sun exposure are greater by the waterside, or near snow, because water and snow are reflective surfaces. -Apart from sunscreen, you need skin and hair care essentials, like cleanser, moisturizer, leave-on conditioner and hair serum. For your make-up, carry powder compact, eye-pencil, kajal stick and lipsticks that are suitable for day wear. Perhaps, a lip gloss will do. By the beach, you need make up products that are 'waterproof" or 'long lasting' and provide a matte finish. -You will also need pressed powder (compact) and powder blush-on. Remember to take a few tissues. If you have oily skin, or the weather is hot and humid, pre-moistened tissues are what you need. Carry them in your handbag when you go out, to clean and refresh your skin. Apart from these, take a deodorant and talcum powder. "There is nothing more enjoyable than getting away from daily mundane living and unwind. If you have taken care of your travel essentials, all you have to do is relax and enjoy your holiday," Husain concluded.